The secret is in the adhesives on the robots' feet. Their design is inspired by geckos, which have climbing skills that are legendary in the animal kingdom. The adhesives are covered in minute rubber spikes that grip firmly onto the wall as the robot climbs. When pressure is applied, the spikes bend, increasing their surface area and thus their stickiness. When the robot picks its foot back up, the spikes straighten out again and detach easily. All this adds up to robots with serious power. For example, one 9-gram bot can hoist more than a kilogram as it climbs. In this video it's carrying StickyBot, the Stanford lab's first ever robot gecko, built in 2006. The most impressive feat of strength comes from a ground bot nicknamed μTug. Although it weighs just 12 grams, it can drag a weight that's 2000 times heavier – "the same as you pulling around a blue whale", explains David Christensen – who is in the same lab. But for tasks like these, the engineers may have to start attaching their adhesives to robots that are even larger – and thus more powerful. "If you leave yourself a little more room, you can do some pretty amazing things," says Christensen. For a few days last summer, a handful of students walked through a park behind the University of Hannover in Germany. Each walked solo, but followed the same route as the others: made the same turns, walked the same distance. This was odd, because none of them knew where they were going. Instead, their steps were steered from a phone 10 paces behind them, which sent signals via bluetooth to electrodes attached to their legs . These stimulated the students' muscles, guiding their steps without any conscious effort. Max Pfeiffer of the University of Hannover was the driver. His project directs electrical current into the students' sartorius, the longest muscle in the human body, which runs from the inside of the knee to the top of the outer thigh. When it contracts, it pulls the leg out and away from the body. To steer his test subjects left, Pfeiffer would zap their left sartorius, opening their gait and guiding them in that direction. Pfeiffer hopes his system will free people's minds up for other things as they navigate the world, allowing them to focus on their conversation or enjoy their surroundings. Tourists could keep their eyes on the sights while being imperceptibly guided around the city. Acceptance may be the biggest problem, although it is possible that the rise of wearable computing might help. Pfeiffer says the electrode's current causes a tingling sensation that diminishes the more someone uses the system. Volunteers said they were comfortable with the system taking control of their leg muscles, but only if they felt they could take control back. One of the students compared the feeling to cruise control in a car, where the driver can take control back when they want it. "Changes in direction happened subconsciously," said another. Pfeiffer steered students manually, but the plan is to build the mechanism into other apps. Navigation apps, for instance, could steer people along their route automatically, meaning they never have to look at their phone or think about where they are going. "When I use Google Maps and I navigate somewhere, I am always pulling my mobile out of my pocket to check," he says. "We want to remove this step out of the navigation process so you just say ‘I want to go there', and you end up there." The system could also be used to direct crowds, not just individuals. "Imagine visitors to a large sports stadium or theatre being guided to their place, or being evacuated from the stadium in the most efficient way in the case of an emergency," the team write in a paper that will be presented at the CHI conference in Seoul, South Korea, next week. Evan Peck of Bucknell University in Pennsylvania says Pfeiffer's system will stop us being chained to our smartphones. "We're developing all this really wonderful tech and almost all of it demands our attention," he says. "We build a navigation system, but then we have to stare at it." "Their goal is letting you use your attention on what you want to use it on," says Peck. "It's in your hands now." This article was originally published on The Conversation. The publication contributed this article to Live Science's Expert Voices: Op-Ed & Insights. The future of lethal autonomous weapon systems (LAWS) – often referred to in the popular press as “killer robots” – remains uncertain following a week-long meeting in Geneva to discuss their legality. While the LAWS debate in Geneva was deeper and richer than previous discussions, key definitions – which are needed to word a protocol to restrict them – remain unclear and up for continued debate. And with nations like the United Kingdom openly opposed to a ban, a protocol may end up being blocked entirely, much to to the chagrin of activists. The British say existing international humanitarian law (IHL) is sufficient to regulate LAWS. While there was universal agreement among delegations that key IHL principles such as distinction, proportionality and precautions in attack apply to LAWS, there were sharp differences of opinion as to whether machines can be programmed to observe such distinctions. The UK has taken the view that programming might in future represent an acceptable form of meaningful human control, and research into such possibilities should not be pre-emptively banned. In future, they might even reduce civilian casualties. The Czechs (a NATO ally) also expressed caution about a ban. However, other nations repeated their calls for a ban, including Cuba and Ecuador. Still, for the Campaign to Stop Killer Robots, British opposition is surely a major concern. The UK has a veto on the UN Security Council. British allies such as Australia and the US might decline to support a ban. Battle lines have been drawn. Definitions will be critical. Clearly the British will defend their national interest in drone technology. BAE’s Taranis – the long range stealth drone under development by UK multinational defence contractor BAE Systems – is a likely candidate for some sort of “state of the art” lethal autonomy. Interestingly, BAE Systems is also on the consortium that is developing the F-35 Lightning II, widely said to be the last manned fighter the US will develop. Sooner or later there will be a trial dogfight between the F-35 and Taranis. It will be the Air Force equivalent of Kasparov vs Deep Blue. In the long run, most analysts think air war will go the way of chess and become “unsurvivable” for human pilots. At the Geneva meeting, many nations and experts supported the idea of “meaningful human control” of LAWS, including Denmark and Maya Brehm, from the Geneva Academy of International Humanitarian Law and Human Rights. Although others, such as France and former British Former Air Commodore, W. H. Boothby, thought it too vague. The Israelis noted that “even those who did choose to use the phrase ‘meaningful human control’, had different understandings of its meaning". Some say this means “human control or oversight of each targeting action in real-time”. Others argue “the preset by a human of certain limitations on the way a lethal autonomous system would operate, may also amount to meaningful human control”. It is perhaps a little disappointing that, after two meetings, basic definitions that would be needed to draft a Protocol VI of the Convention on Certain Conventional Weapons (CCW) to regulate or ban LAWS remain nebulous. However, UN Special Rapporteur on extrajudicial, summary or arbitrary executions, Christoph Heyns, has been impressed by the speed and also the “creativity and vigour” that various bodies have brought to the discussions. Most nations accept that “fully autonomous weapons” that could operate without “meaningful human control” are undesirable, though there is no agreement on the meaning of “autonomous” either. Some states, such as Palestine and Pakistan, are happy to put drones in this category and move to ban their production, sale and use now. Others, such as Denmark and the Czech Republic, maintain that no LAWS yet exist. This is another definitional problem. Paul Scharre’s presentation was a good summary of how we might break up autonomy into definable elements. Aside from the definitional debates there were interesting updates from experts in the field of artificial intelligence (AI) and robotics. Face and gait recognition by AI, according to Stuart Russell, is now at “superhuman” levels. While he stressed this did not imply that robots could distinguish between combatant and civilian as yet, it is a step closer. Russell takes the view that “can robots comply with IHL?” is the wrong question. It is more relevant to ask what the consequence of a robotic arms race would be. Patrick Lin made interesting observations on the ethical notion of human dignity in the context of LAWS. Even if LAWS could act in accordance with IHL, taking of human life by machines violates a right to dignity that may even be more fundamental to the right to life. Jason Miller spoke on moral psychology and interface design. Morally irrelevant situational factors can seriously compromise human moral performance and judgement. Michael Horowitz presented polling data showing that people in India and the United States were not necessarily firmly opposed to LAWS. Horowitz’s key finding was that context matters. What the LAWS is doing when cast in the pollster’s story is significant. How you frame the question makes a significant difference to the approval numbers your poll generates. Overally, the meeting was a step forward in the debate around the status and legality of lethal autonomous weapons. Although that debate – and it implications on the future of warfare – is still far from settled. This article was originally published on The Conversation. Read the original article. Follow all of the Expert Voices issues and — and become part of the discussion — on Facebook, Twitter and Google +. The views expressed are those of the author and do not necessarily reflect the views of the publisher. This version of the article was originally published on Live Science. The Runner Cardio has an unconventional design that makes navigating the watch easy. The TomTom Runner Cardio has a large, brightly lit display that's easy to read while running. And unlike most watches with buttons along the outer edges, this watch has a single button located underneath the display that can be pressed up, down, left or right. While unconventional, this design makes it easy to navigate the watch during a workout. Not only is the watch easy to navigate while running, but it's also easy to figure out how to work the Runner Cardio without reading any kind of instruction manual. You can upload data from the watch to your computer by plugging the device in with a USB cord, or you can upload data wirelessly to a mobile device via Bluetooth. But the most user-friendly feature of this watch is its built-in heart-rate sensor, which lets you leave your heart-rate chest strap at home and track your pulse right from your wrist. This running watch provides all the information you need to track your progress, whether you're a seasoned runner who's training for a race or a beginner looking to monitor your improvement over time. The watch tracks distance, time and pace, along with calories burned, elevation gain and cadence (steps per minute). Unlike the Forerunner 620, an advanced running watch from Garmin, the Runner Cardio doesn't collect data about your vertical oscillation (movement up and down, or "bounce") or ground contact time (the amount of time your foot stays on the ground with each step). But running-efficiency data can actually be more overwhelming than it is useful, which is one of the reasons we chose the Runner Cardio, not the Forerunner 620, as our pick for the best GPS watch for runners. The heart-rate data that the Runner Cardio collects is displayed in an easy-to-read format in the TomTom MySports mobile app and on the company's website. It's easy to analyze your average heart rate, as well as your heart rate over the course of your run, in both the app and the online dashboard. The straightforward design of this watch makes it enjoyable to use, even during intense workouts. The watch is missing some of the motivational features that come with watches from Polar and Garmin — like "badges" that you can receive for achieving your best time, or the ability to share your stats with other TomTom users — but these features aren't necessarily must-haves for GPS watches. The watch does have one great motivational feature: the "Race This" mode that lets you try to beat your time or distance from a previous workout. You only have to press one button on the M400 to start tracking a workout. The Polar M400 is made from durable materials, like stainless steel and rigid plastic, that make it seem sturdy and ready for anything. But despite its brawn, the watch is comfortable to wear while working out, and the device's five buttons are easy to press, even when you're running. I like that this watch comes in solid black or white. Many of the watches I tested were brightly colored and too bold for my taste. Navigating the M400 is easy, which is more than I can say for many of the GPS watches I've tested. You need to press only one button to start recording a workout — and that button is bright red, so you can't miss it. I did run into some trouble when I first tried to set up the watch on my computer. (The Polar software didn't immediately recognize my device.) But when I called Polar's customer service hotline, I was immediately connected with a company representative who helped me troubleshoot the problem, which was entirely a result of user error. The M400 isn't designed to track swimming workouts, and it doesn't have a multisport mode, so you can't really use it as a replacement for a triathlon watch. However, you can use the watch to track both running and cycling workouts. Runners and cyclists can use the watch to track their time, distance, calories burned, pace, speed and heart rate (when the watch is paired with a heart-rate strap). The watch also tracks your daily step count and calories burned. All of this data is displayed in the Polar Flow mobile app and website, which is easy to navigate and features some ready-to-read charts and graphs. You can also customize the data that the watch collects and displays by creating new "sports profiles" online. This allows you to label all of your workouts properly, whether you're playing soccer or taking a dance class. The M400 is one of the easiest GPS watches to navigate, which makes it a pleasure to use. And for people who are interested in connecting with other athletes to stay motivated or swap workout advice, the Polar Flow website seconds as a type of social network. You can use the site to find other fitness fanatics in your area and see how you measure up to the competition. The Vivoactive combines a touchscreen with conventional buttons, which makes navigating the watch easy. The Vivoactive has a slim design that sets it apart from other bulky, multisport GPS watches like the Suunto Ambit3 and the Polar V800. It has a modern-looking square face that is easy to read and makes the device seem more like a smartwatch than a sports watch. Like the Fitbit Surge — another fitness watch with "smart" features — the Vivoactive combines a touch screen with conventional buttons, making it easy to navigate (once you get the hang of it). The dimly lit screen can be tough to read in the dark, but the watch has a backlight that you can activate with the tap of a button. The Vivoactive syncs wirelessly with your mobile device via Bluetooth, or you can plug the watch into your computer to transfer data via a USB cord. But if you don't feel like syncing data from your watch to some other device, you can just view your stats right on the watch itself. Workout summaries, as well as a record of your daily activity, are stored on the watch, and you can access this information by hitting the History widget on the main menu. In my experience, the watch's battery lasts about five days when you're using the GPS feature every day for about 30 minutes or so. That's a decent battery life that rivals those of smartwatches and fitness trackers that don't have GPS capabilities. The Vivoactive is missing some of the advanced data tracking that you'll find on Garmin products that are devoted exclusively to running, swimming or triathlon training. For example, the watch can't be paired with a heart-rate sensor to track in-depth data about running efficiency (which is something you can do with Garmin's Forerunner 920XT and the Forerunner 620). But you can use the Vivoactive to track your distance, pace, time, cadence and elevation gain while running. The metrics are similar for cycling, and you can even use the watch to track speed. Swimmers can also use the Vivoactive to track laps, strokes per lap and swimming efficiency (or SWOLF). All of this data is displayed in an easy-to-read format on the Garmin Connect mobile app or on Garmin's online dashboard, which features comprehensive graphs and charts, as well as workout summaries and information about your daily steps and calories burned. The Vivoactive connects with Garmin's new app platform, Connect IQ, where you can download custom display screens for the watch and try out apps developed by other Garmin users. I really enjoyed customizing the watch. (I downloaded the weather app and a new "watch face," or display screen.) I also like that the watch features Garmin's signature "move bar" — a graphic on the display screen that turns red when you've been inactive for more than an hour. If you don't get up and walk around, the watch will buzz your wrist until you get moving. I found this feature useful for reminding me to be more active throughout the day. After testing more than 20 GPS watches, we recommend the Garmin Vivoactive as the best GPS watch overall. If you want the most bang for your buck, we recommend the Polar M400, a $150 watch that tracks running, cycling and a variety of other sports. 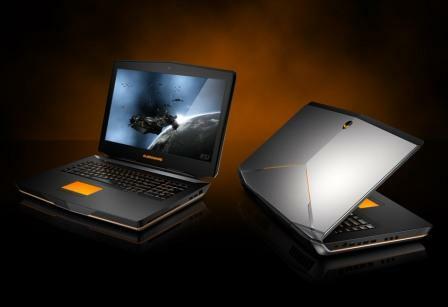 Alienware 18 acquired 10th position as most expensive laptop in the world. Alienware 18 is a laptop which you will definitely love. It will not only impress you with its looks but also by its stunning configuration. The processor is outstanding with ample of RAM, Intel Core i7 Quad-Core Processor and 32GB RAM. 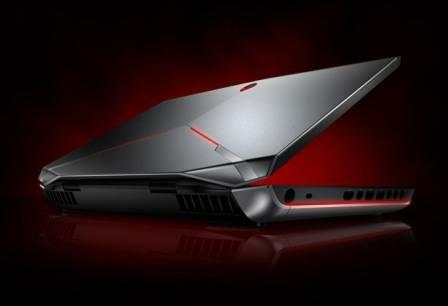 Alienware will definitely not disappoint you on Graphics, it is packed with dual NVIDIA GTX 780M graphics card. And surely you will enjoy gaming in 18.4-inch widescreen. Rock Xtreme SL8 is among the most expensive laptops because you will be amazed when you will get to know about Rock Xtreme SL8 configuration. Being most expensive laptop in the gaming arena, it will give you best performance. 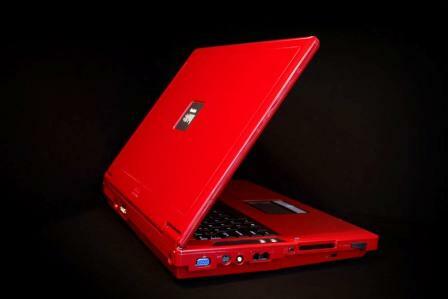 The notebook is packed with 2.83GHz Intel Core 2 Quad Q9300 processor and 8GB of RAM. It has a 17-inch widescreen and comes with dual NVIDIA 9800M GTX 1GB dedicated SLi Graphics. The Stealth MacBook Pro may not impress you with its price as it is one the most expensive laptop, but surely it will impress you by its looks. Leaving the metallic silver aluminum body behind, Apple comes up with the soft matte black in Stealth MacBook Pro.The Stealth MacBook Pro has a 15-inch widescreen with with matte display. It has 3.06GHz of processor with 8GB of DDR3 RAM and 256GB SSD . The Stealth MacBook Pro has an amazingcooling system. A special slim cooling pads comes with it that can be mounted at the bottom of the MackBook Pro, that improves air circulation and provides an ultimate bottom surface cooling. Another most expensive laptop is from Origin. This notebook won’t make you worried on the performance side.EON 18 comes with a quite bigger screen if you compare it with other notebooks, it has 18.4-inch widescreen. 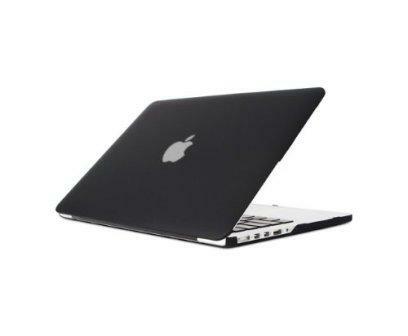 It is packed with 2.53-GHz Intel Core Extreme QX9300 processor with DDR3 RAM of 8GB. 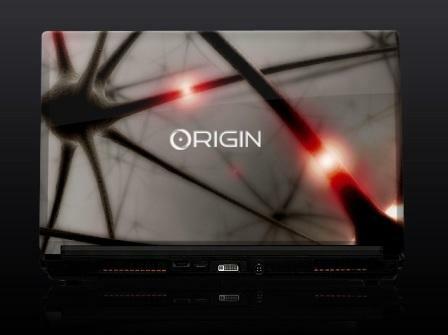 For best performance Origin is providing two internal SSD each of 160GB. This notebook won’t disappoint you on the graphics side also, it comes with dual NVIDIA GeForce GTX 280M GPU each of 1GB memory. 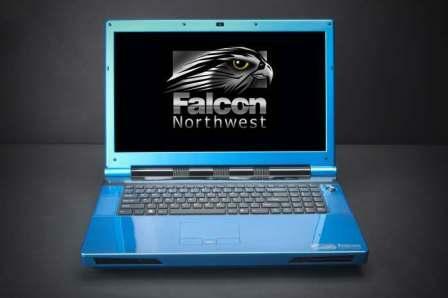 Falcon Northwest is calling its Fragbook DRX as a gaming laptop. You will automatically start loving this laptop when you will get to know about its outstanding specifications. 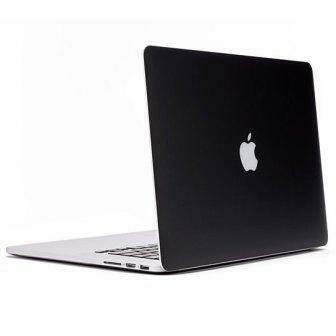 It comes with a 3.33-GHz 4th Generation Intel Core i7 975 Quad Core processor. 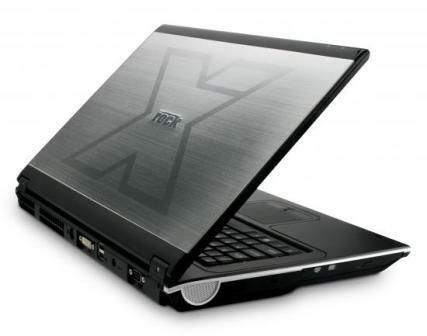 The Fragbook DRX is also known for its amazing graphics which is supported by NVIDIA GeForce 280M GTX Graphics with a whooping 32GB DDR3 RAM. 17-inch widescreen with matte finish. Its storage device capacity is divided into four internal Drives (dual mSATA and dual SSDStorage). Voodoo Laptops are basically designed for gamers, engineers or designers, who need high configuration system to carry out their task. 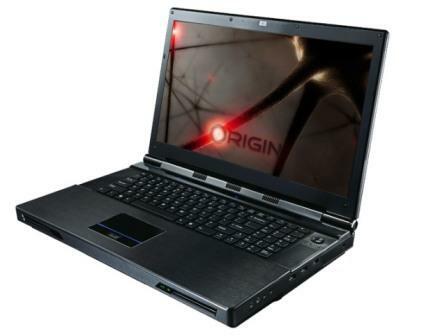 The Envy series are high performance laptops. Intel Core 2 Extreme X6800 processor and a Dual NVIDIA GeForce 7950 GPU are embedded into it. It has three Hard Disk Drive, each of 200GB, means a total of 600GB HDD. It comes with full HD 17.3-inch screen. 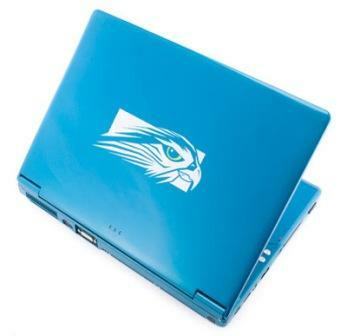 Even you can get the choice of paint you want on the laptop and also the tattoo finishes on it. 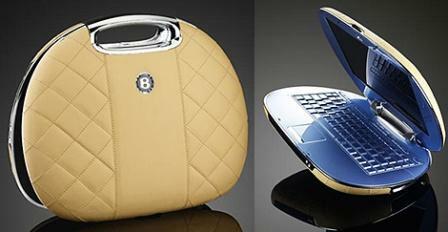 The Ego Bentley laptop secured fourth position in most expensive laptops in the world. 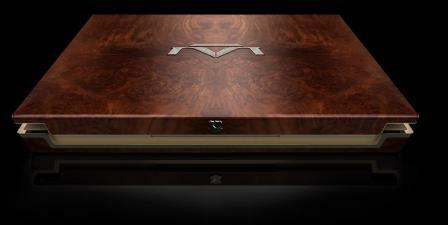 The Ego laptop is manufactured in partnership with the luxury automaker Bentley. It’s a notebook with sleek exterior. This priceless laptop exterior is made of Bentley finest interior leather. 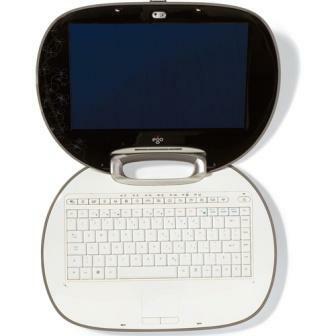 It is packed with an AMD TurionTM processor with2GB RAM. 160GB Hard Drive with decent 12.1-inch widescreen. A cool handle is provided to make it look like a fancy handbag. This laptop is available in 10 different colors. 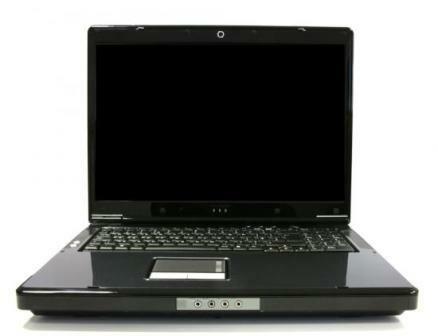 Why Tulips E-Go Diamond laptop is among the most expensive laptops?. As you can judge by its name, the laptop is made of brilliant cut diamonds with solid palladium white gold. Apart from precious stones being used, the laptop is made in such a way that it looks like a fashion accessory (a handbag) rather than a notebook as you can see in the picture. This hand-bag shaped laptop has interchangeable covers which are available in a variety of designs. 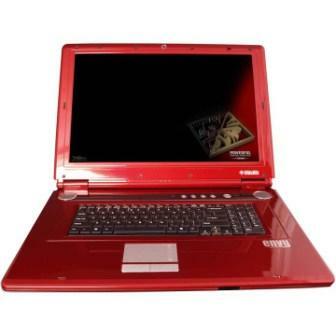 The E-Go Diamond laptop has AMD Turion 64 bit processor with 1GB RAM and 80GB Hard Drive. The MackBook Air is transformed to MackBook Air Supreme by famous designer, Stuart Hughes. 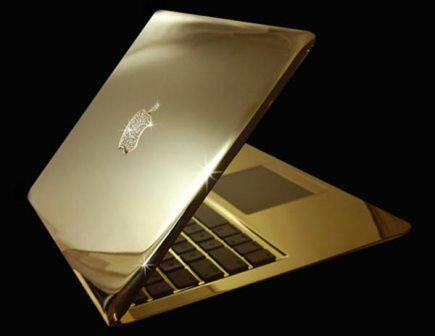 The Apple logo on the MackBook Air Supreme is embedded with 53 Diamonds weighing 25.5 carats. 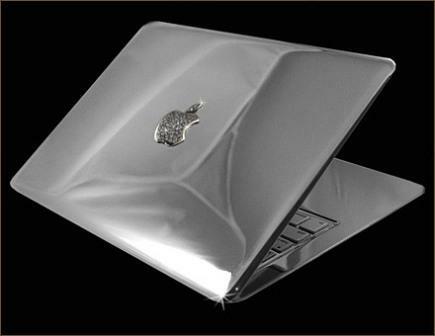 The MackBook Air Supreme is transformed into three editions, MackBook Air Supreme ICE (2,10,000), FIRE($3,35,798) andMackBook Air Supreme Platinum ($5,00,000) edition. The ICE Edition body is coated with polished pure platinum. In FIRE Edition the aluminum body is replaced with polished pure gold. And in PLATINUM Edition the body is replaced with pure solid platinum. 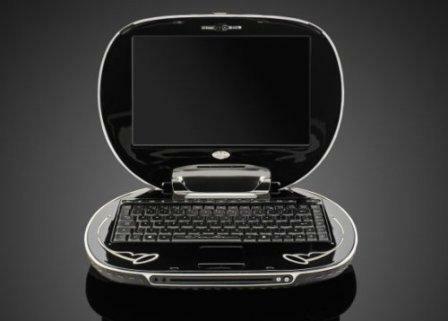 And here is the most expensive laptop in the world, Luvaglio laptop. The first question that might be coming into your mind is that “Why Luvaglio laptop is so expensive”?. The truth behind the million dollar laptopis that it’s the world’s first handcrafted laptop and it is made of precious stones like diamonds that is why it is thecostliest laptop in the world. The anti-reflective 17’’ widescreen LED lit, 128 GB of SSD and a Blue Ray Driveslot are the major specs of the world’s most expensive laptop. The Luvaglio laptop has a screen cleaning device integrated into it. The best part is that, you can choose the precious stone you want to have on the laptop.